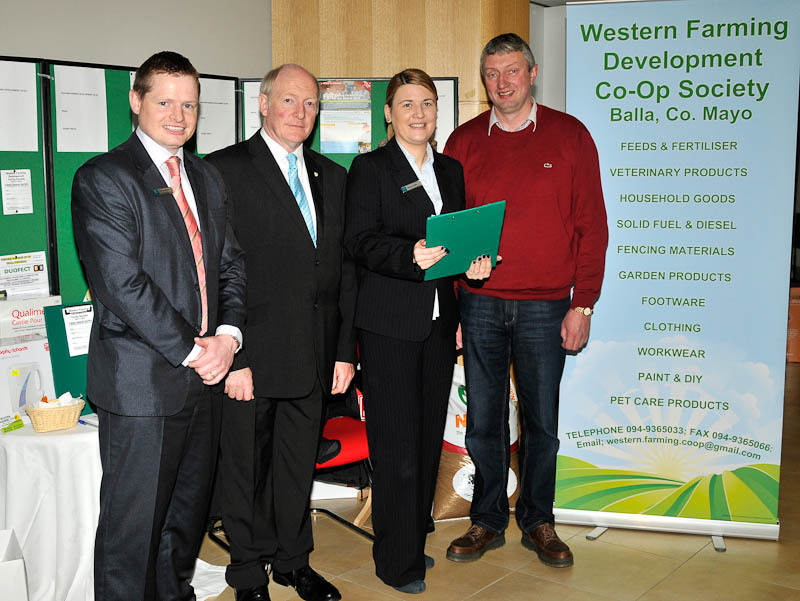 Bank of Ireland Castlebar Agri Enterprise Week, l-r; Tomas Diskin, Branch Manager, Francis Brennan, Chairman Management Committee Western Farming Development Co-Op Society Balla, Sinead Cuffe, Bank of Ireland and John Conway, General Manager Western Farming Development Co-Op Society Balla Photo © Ken Wright Photography 2014. 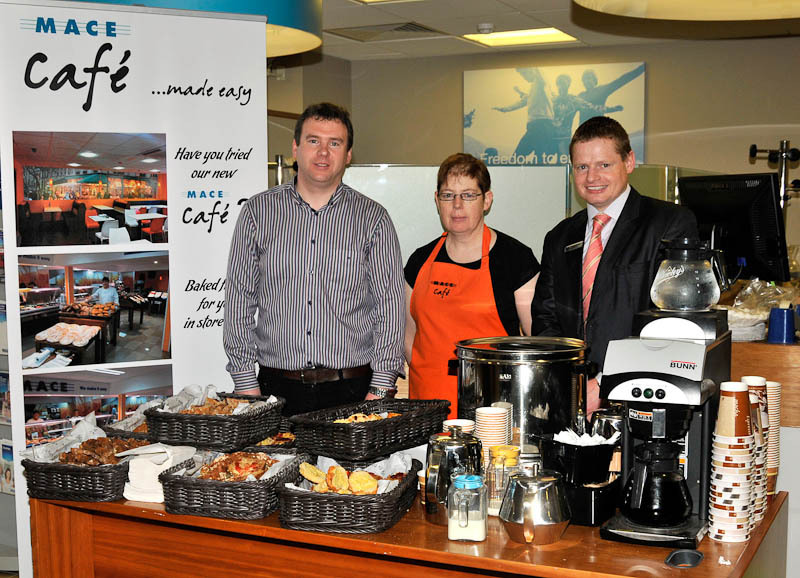 Bank of Ireland Castlebar Agri Enterprise Week, Padraic Delaney and Joan Freeman from the Mace café Moneen with Tomas Diskin, Branch Manager,. Photo © Ken Wright Photography 2014. 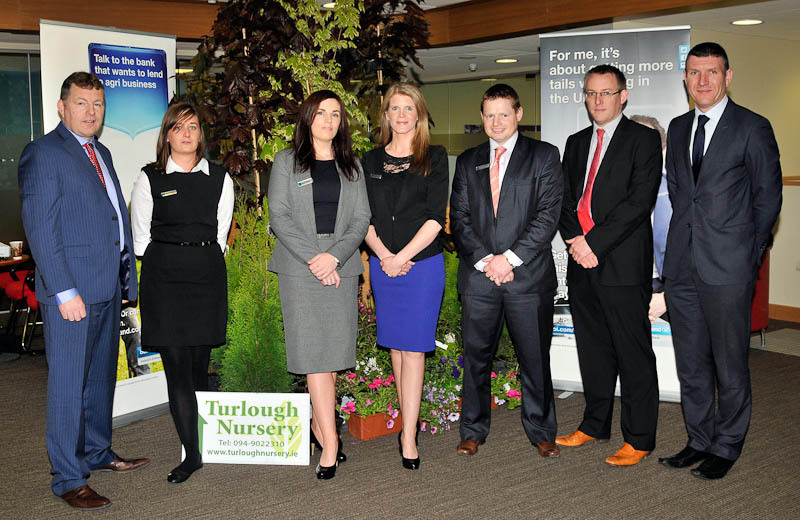 Bank of Ireland Castlebar Agri Enterprise Week, l-r; Michael Maloney, Agricultural Consultant, Leanne Brennan, Premier Advisor Castlebar, Karen Smith, mortgage advisor, Adrienne O’Malley, customer advisor, Tomas Diskin, Branch Manager, Donnacha O’Connor, Johnson & Johnson solicitors Sligo and Sean Farrell, Head of Agri & Business Bank of Ireland. Photo © Ken Wright Photography 2014. 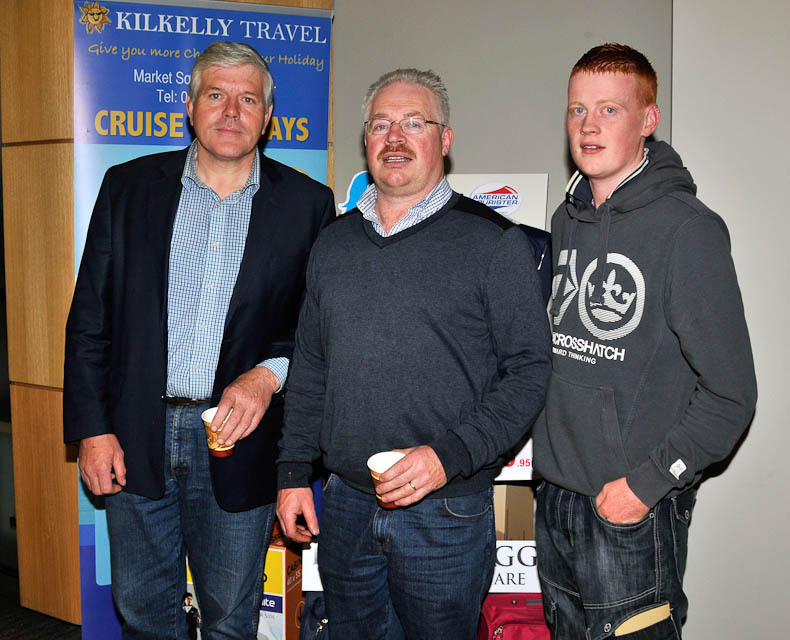 Bank of Ireland Castlebar Agri Enterprise Week, 3 local farmers l -r; Tom Stanton, (Tourmakeady) Tom Fadden, (Islandeady) and Thomas Fadden (Islandeady). Photo © Ken Wright Photography 2014. 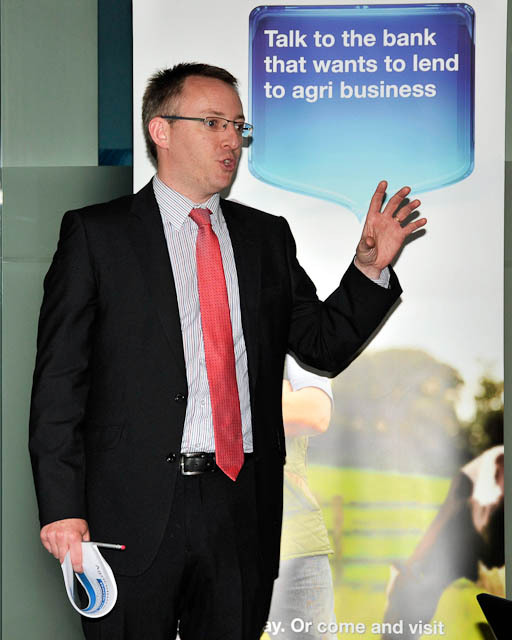 Bank of Ireland Castlebar Agri Enterprise Week, Michael Maloney, Agricultural Consultant, addressing the large turnout . Photo © Ken Wright Photography 2014. 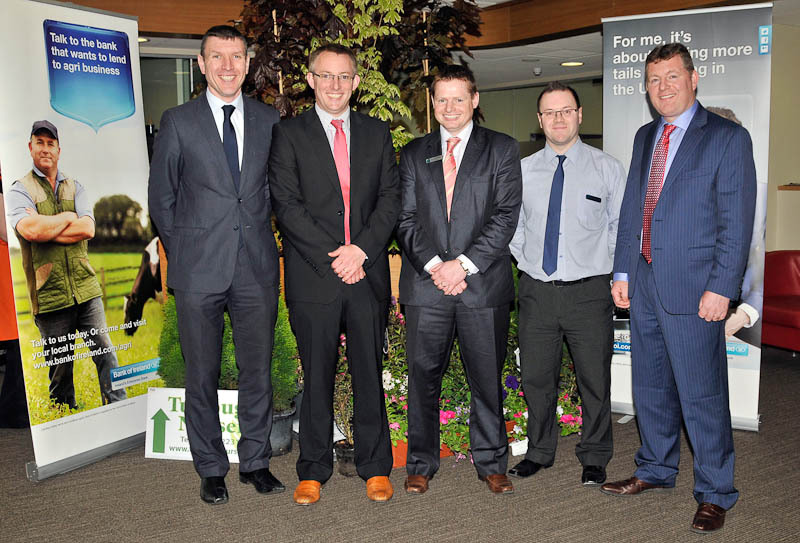 Bank of Ireland Castlebar Agri Enterprise Week, Kevin Beirne, auctioneer Castlebar and John Fearns from Westport . Photo © Ken Wright Photography 2014. 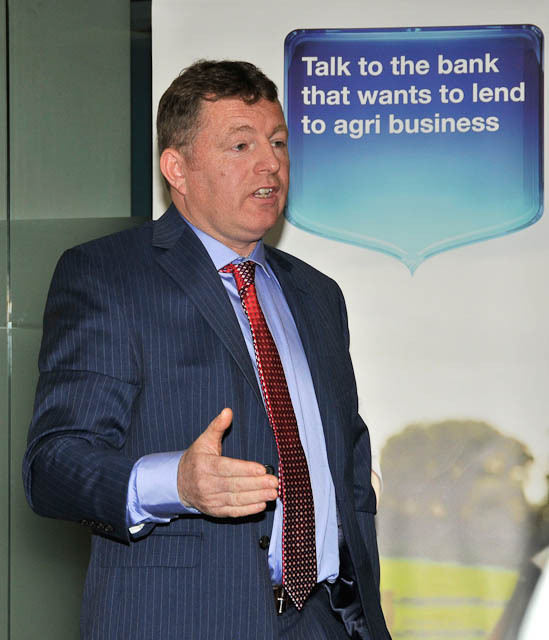 Bank of Ireland Castlebar Agri Enterprise Week, Donnacha O’Connor, Johnson & Johnson solicitors Sligo, giving general advice to members of the local business and farming community. 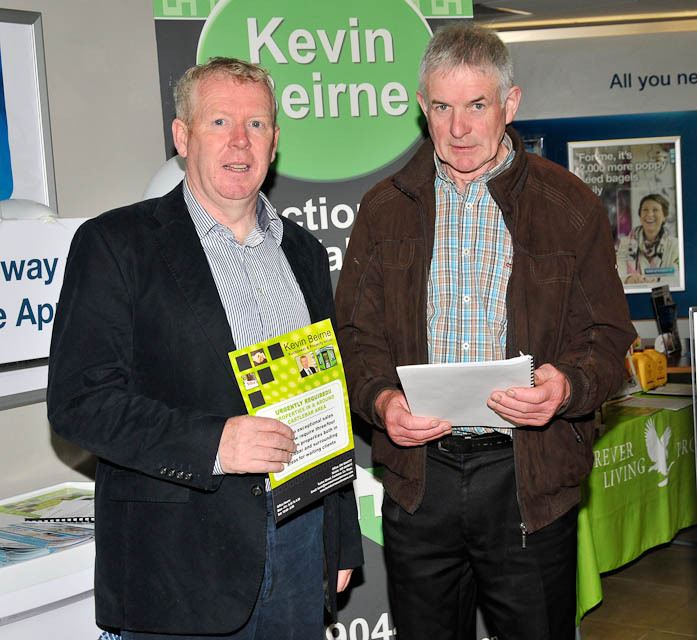 Photo © Ken Wright Photography 2014.